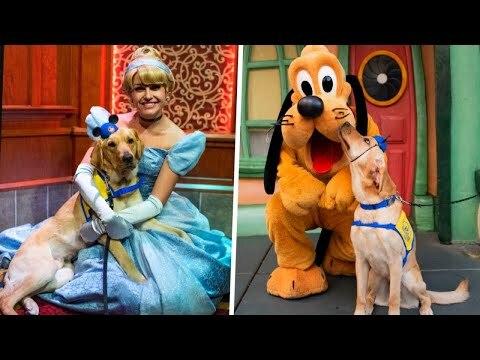 A cute pup fell in love with Cinderella at Disneyland. Elijah, a Labrador and golden retriever mix in training to become a service dog, traveled with his handler to the California Park and hit it off with the princess. “When he got to meet the characters, he was given his release commands. He really enjoyed meeting them,” Ashley Wilt, his “puppy raiser,” told InsideEdition.com. InsideEdition.com’s Leigh Scheps (http://twitter.com/LeighTVReporter) has more.